For over 65 years we have specialized in turning our customers' dreams into reality. Whether you are looking to create curb appeal with a new front walkway, create a backyard oasis, or just have the best lawn in the neighborhood, Conklin Limestone is your source. We work with homeowners, contractors, and design professionals. Be sure to check out our clearance section for the best steals and deals! 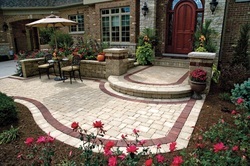 Create a new front entrance with the many concrete paver designs. This entrance features Unilock Brussels Block with an Il Campo Heritage brown accent row. 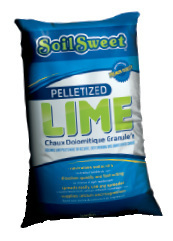 Pelletized Limestone 40 lbs $4.40 per bag. It's time to lime! 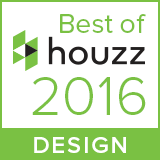 See our Gallery on houzz!